How Are You Using Branching Scenarios in E-Learning? This ELH Challenge was to share a branching scenario example. I used Michael Allen’s CCAF (context, challenge, activity, feedback) model to demonstrate how choices made by the learner can have dramatic consequences. The course is set in a Lego world. 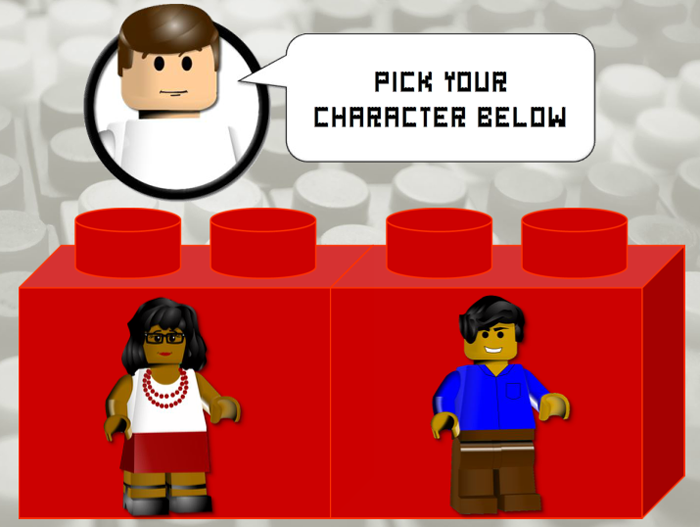 You initially choose from one of two avatars — which were downloaded from the Articulate Community (thanks Tom) — and are then welcomed into their house for some home cooking. The aim for this E-Learning Challenge was to show an example of how to grab attention and motivate learners. The scene is set with you in the control room of a nuclear weapons strike team monitoring threat levels. Your job is to react to any status updates and strike first! This challenge was undertaken for the Articulate Guru Contest. The contest was all about showing what’s possible with Articulate Storyline, by highlighting creative uses of the tools and features. The entry was a sequel to a previous challenge: Preventing Workplace Violence: eLearning Scenarios that took place in the Café of Dreams. A comic book style, continuing the look and feel of the first Café of Dreams interactive story, was used. 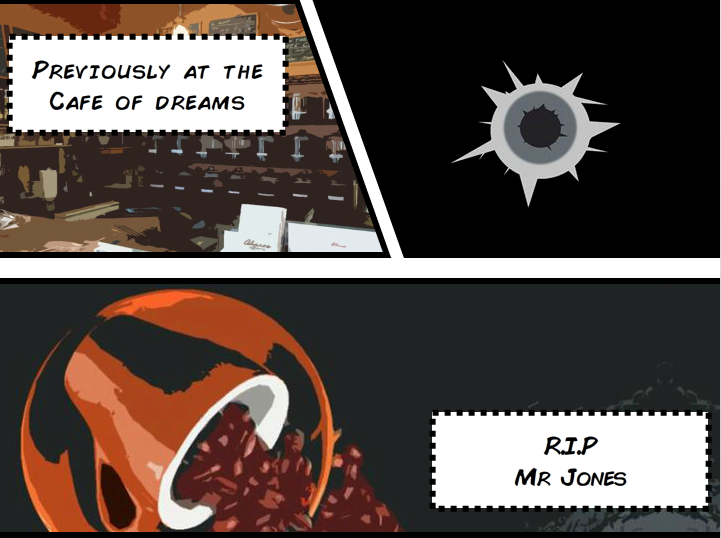 In the first Café of Dreams story, an ill-advised choice resulted in the shooting of Mr Jones. Now, in the Café of Dreams 2 story, justice for Mr Jones is demanded.